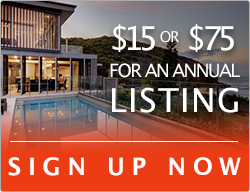 If you are looking for a home to find complete peace and quiet, then look no further. 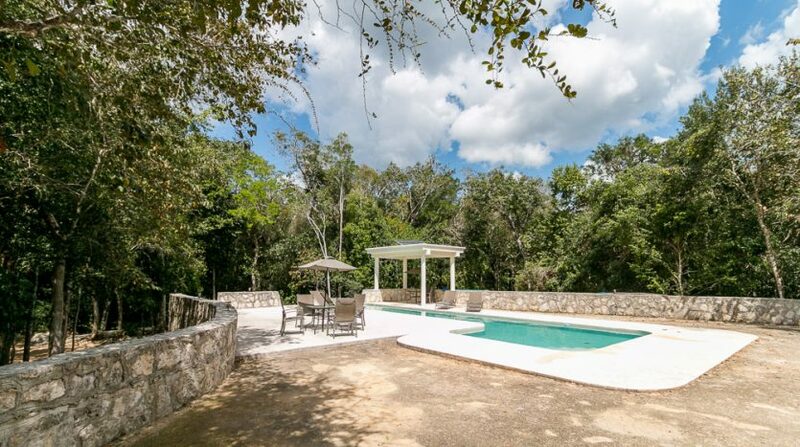 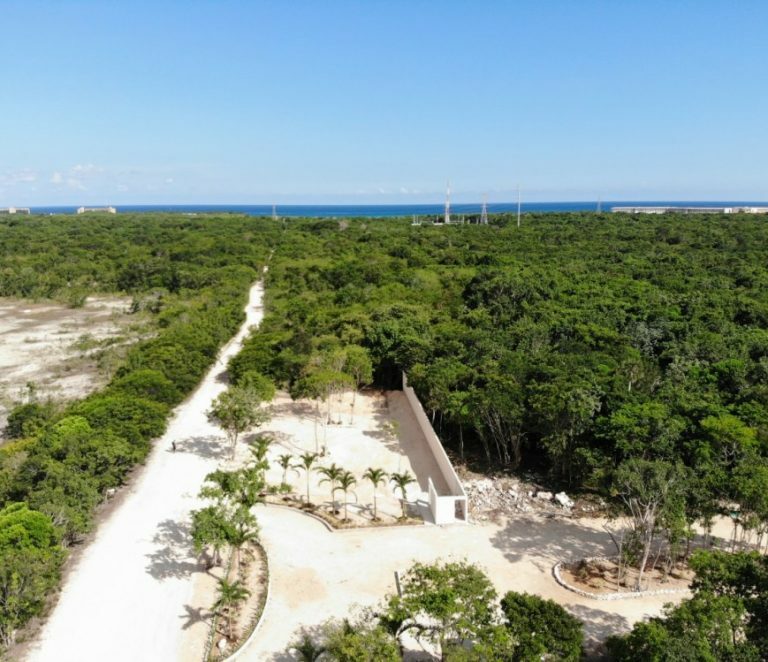 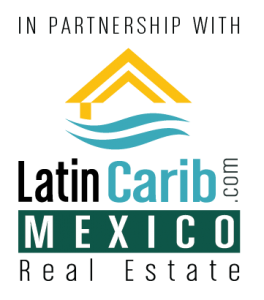 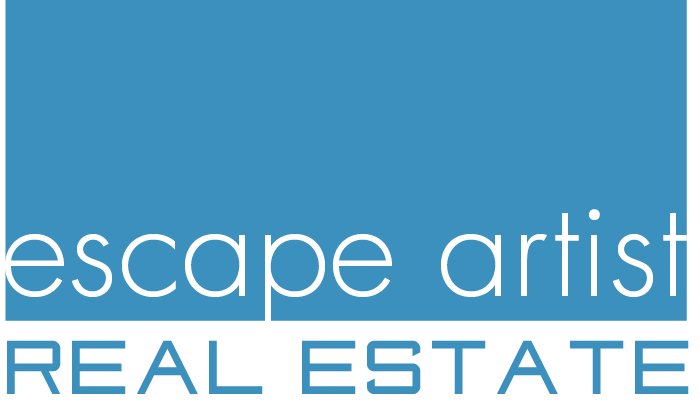 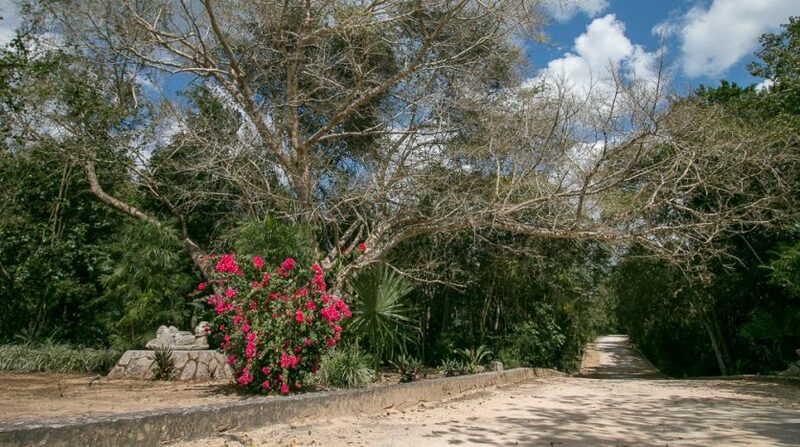 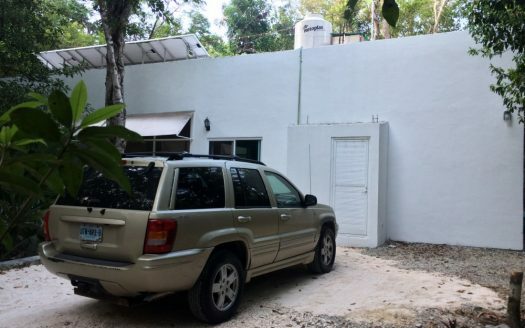 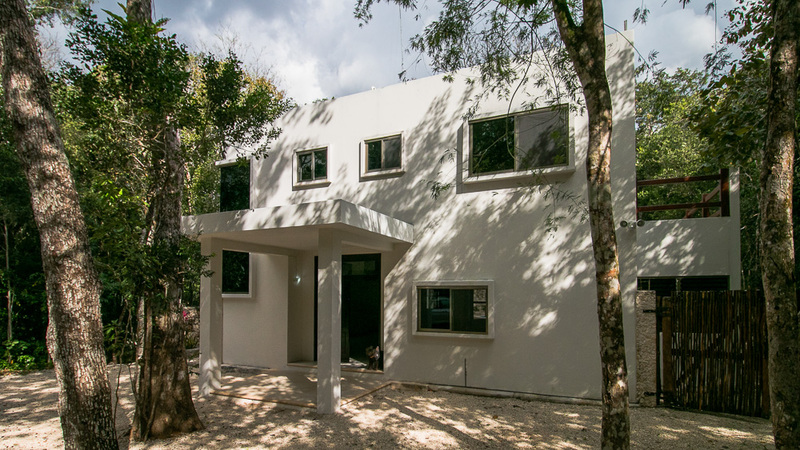 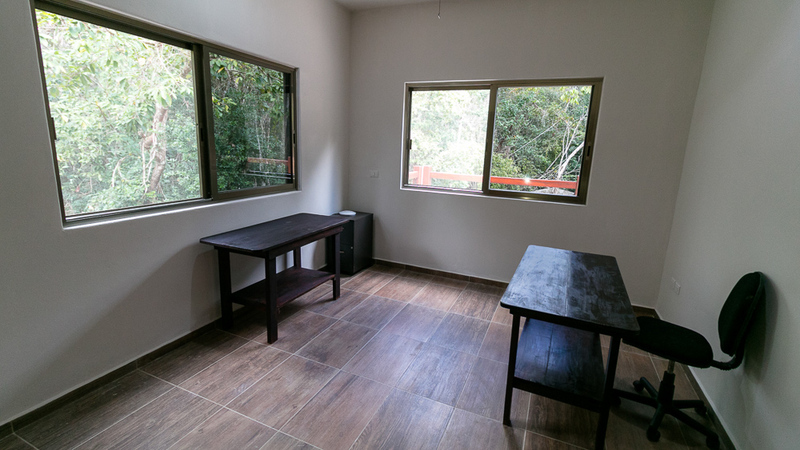 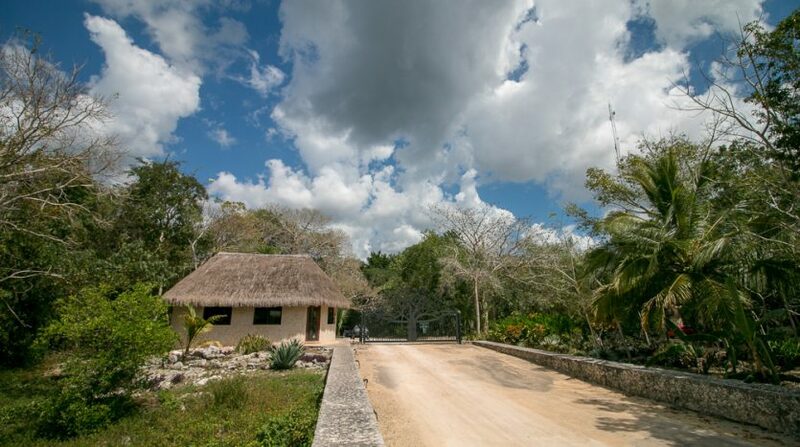 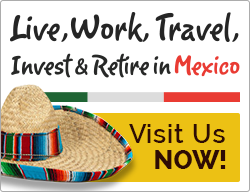 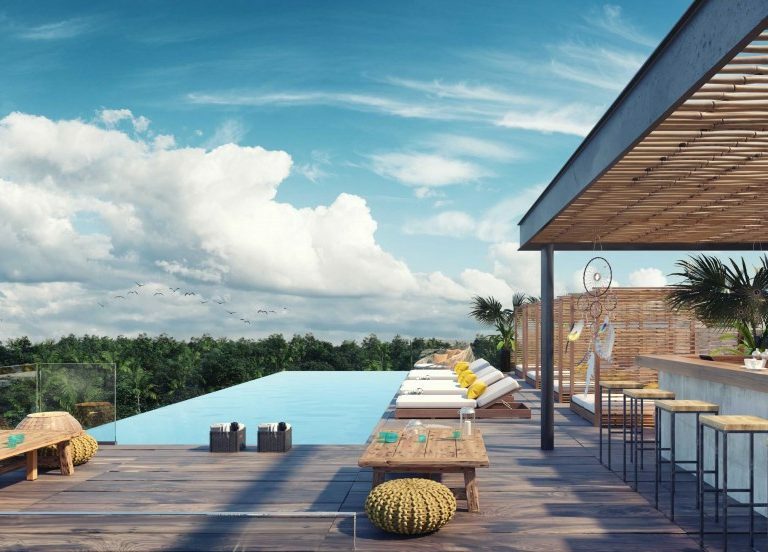 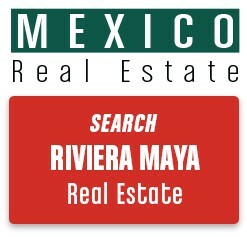 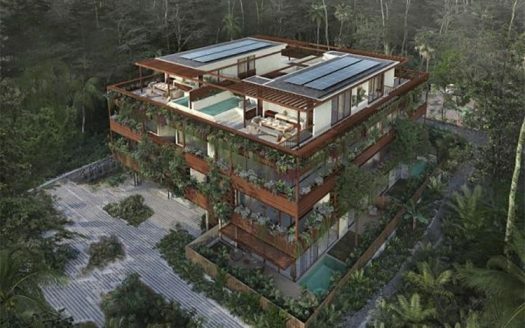 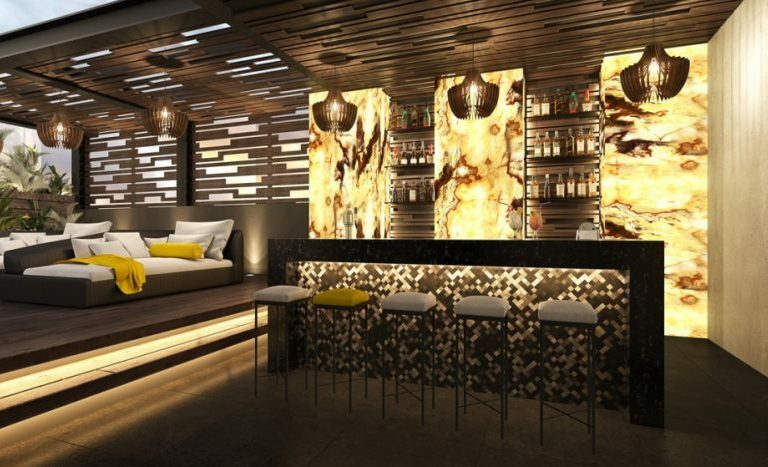 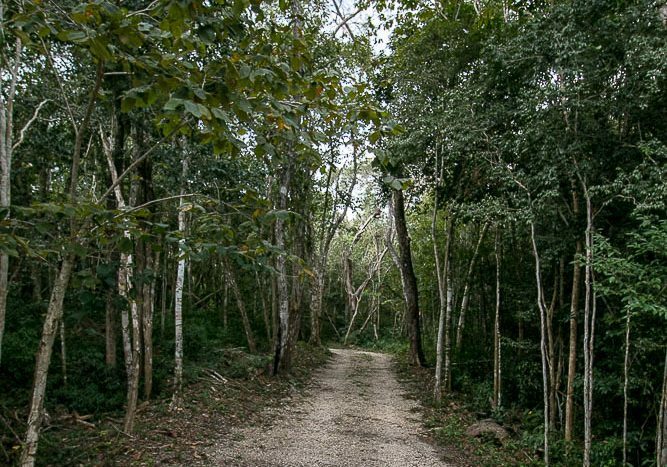 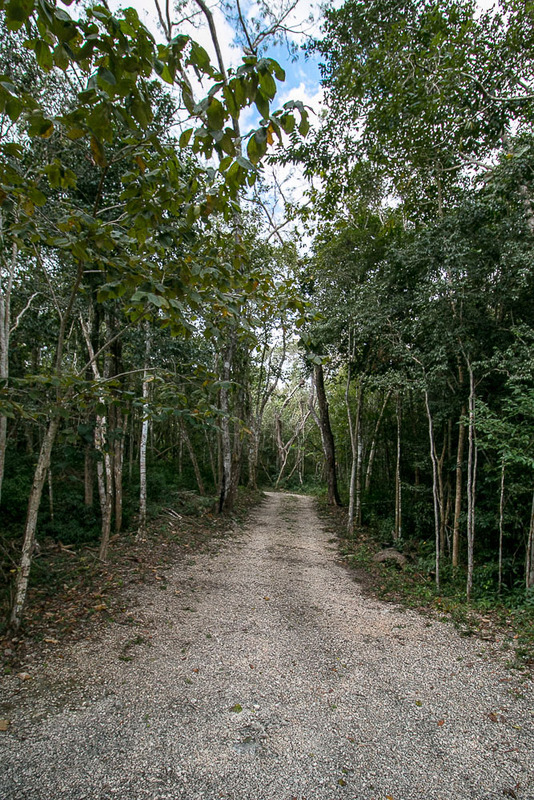 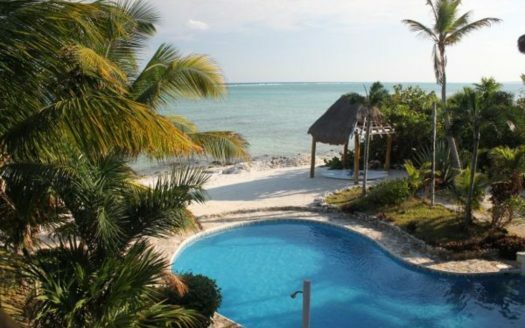 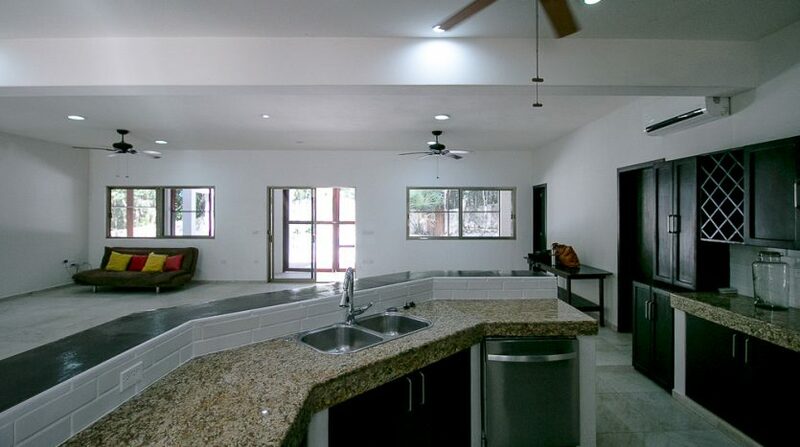 Each lot in Los Arboles Tulum is 5 acres upon which only 5% can be developed. This will ensure a future of peace, quiet, amazing natural wild-life and immense privacy. 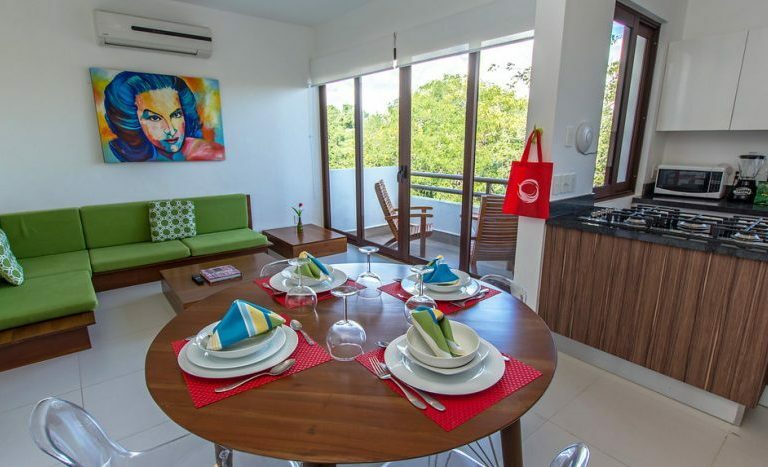 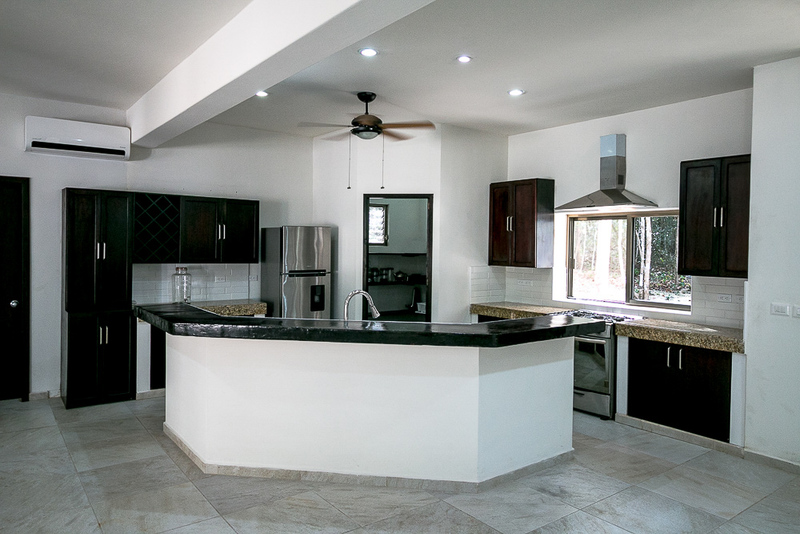 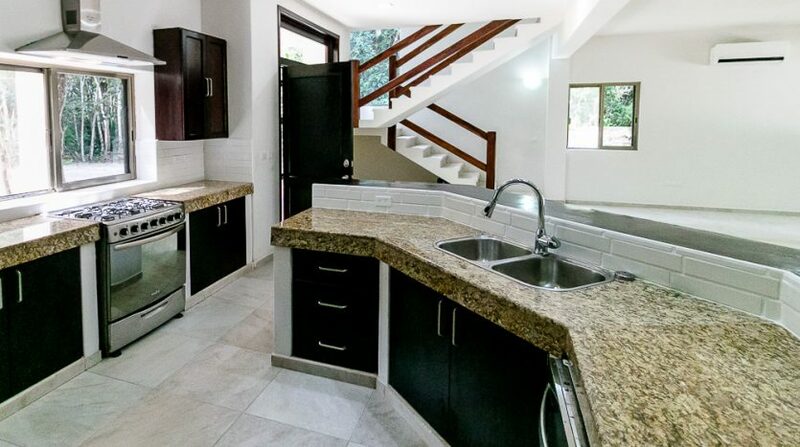 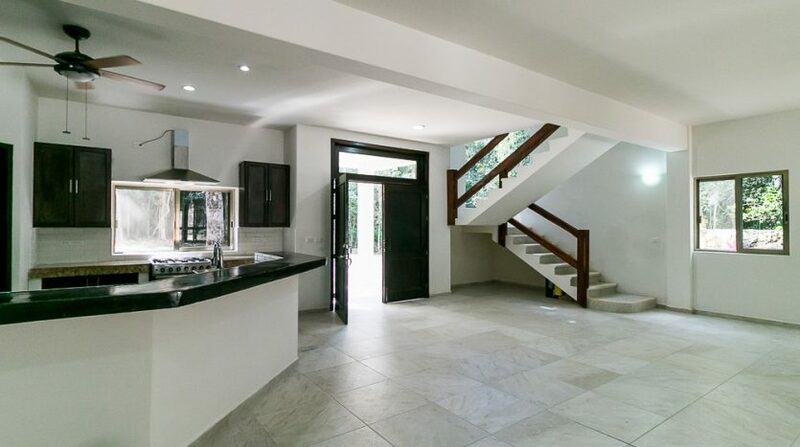 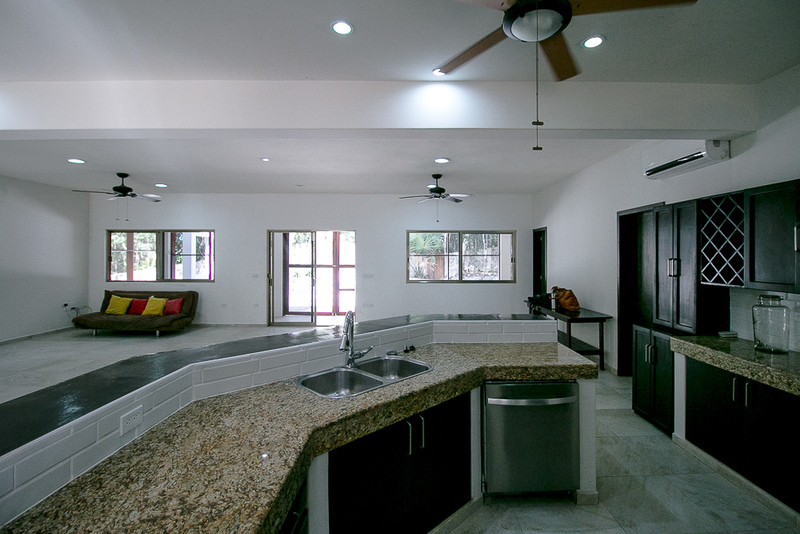 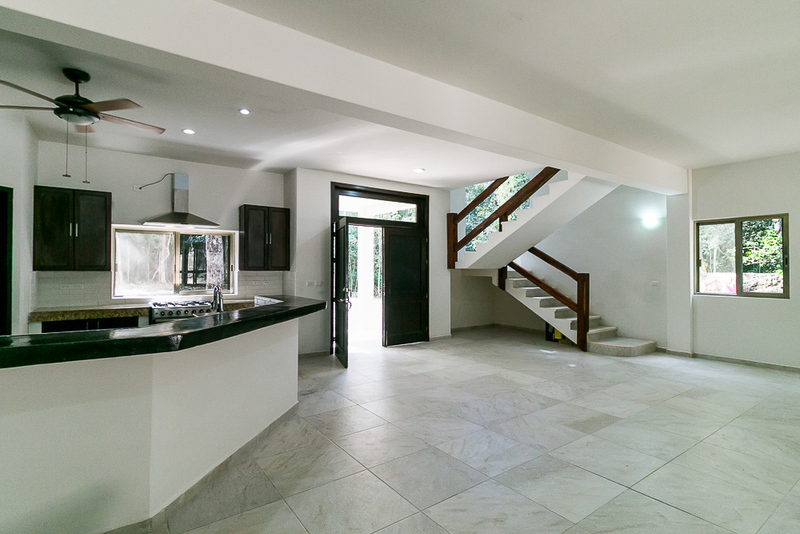 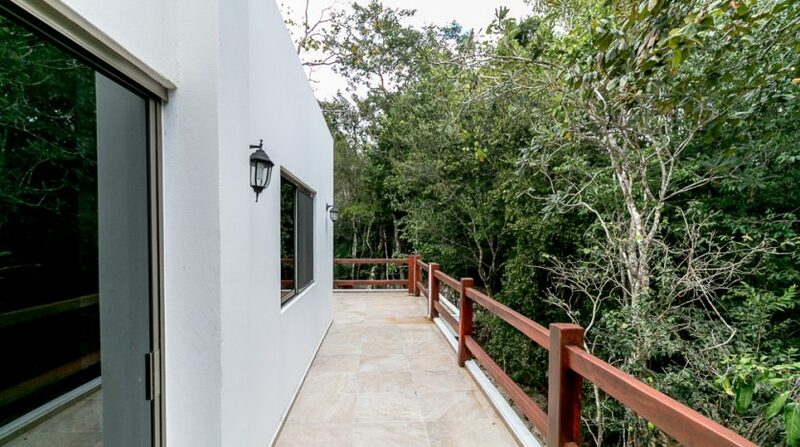 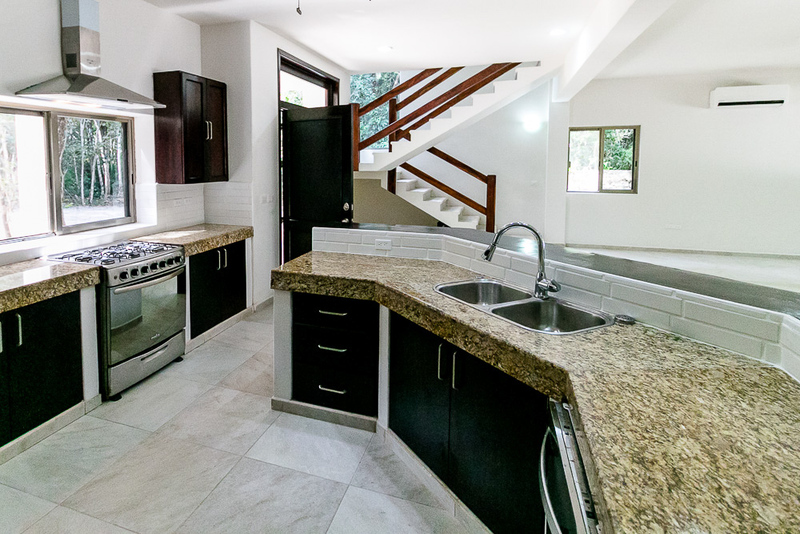 This particular home is only 2 lots away from the common areas that include palapas for events and gatherings, garden beds for growing herbs, fruits and vegetables, a large swimming pool and more. 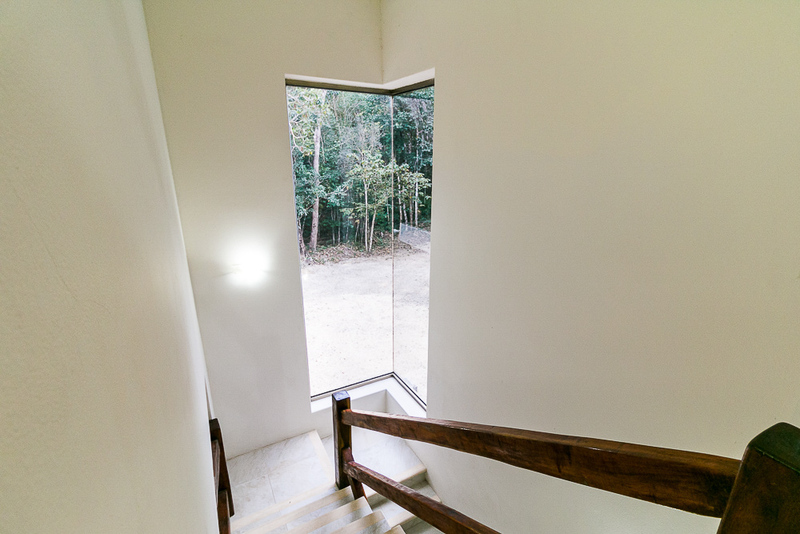 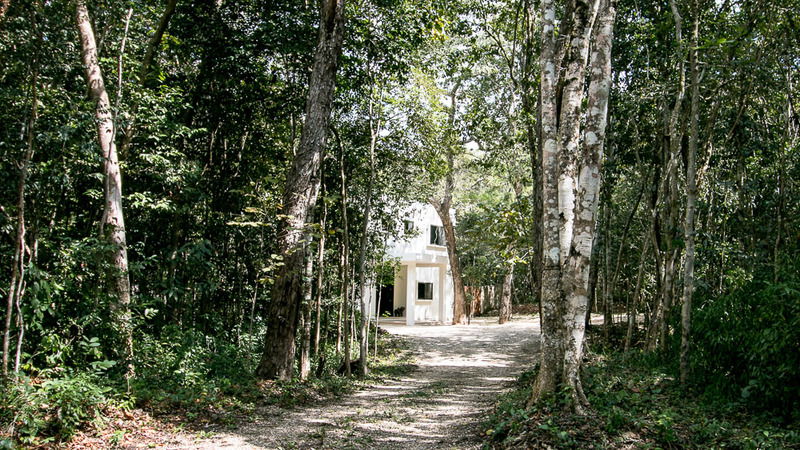 A short drive up a curved drive way ensures the house is easily accessible, yet hidden behind a wall of lush green jungle. 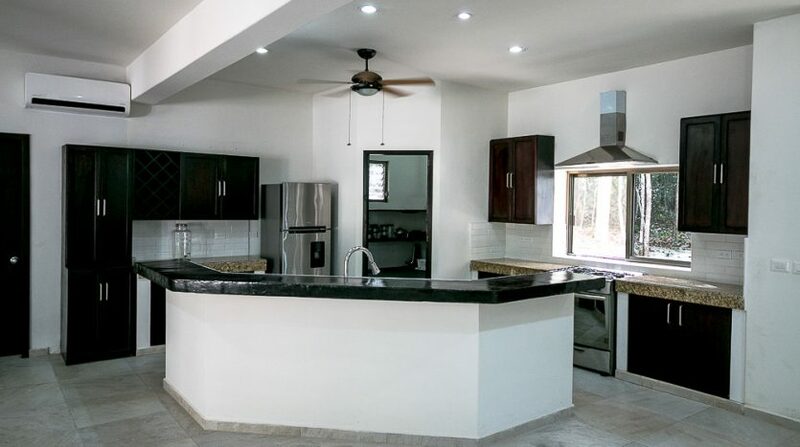 The home offers a open-floorpan with a spacious kitchen outfitted in stainless appliances, and a joined dining and living area that can easily accommodate a large family or group. 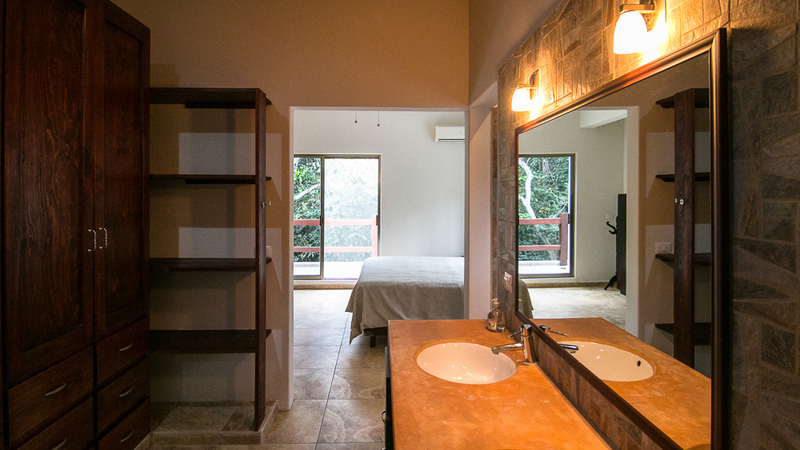 There is a half bath on the ground floor as well as a large laundry room where the battery bank is kept. 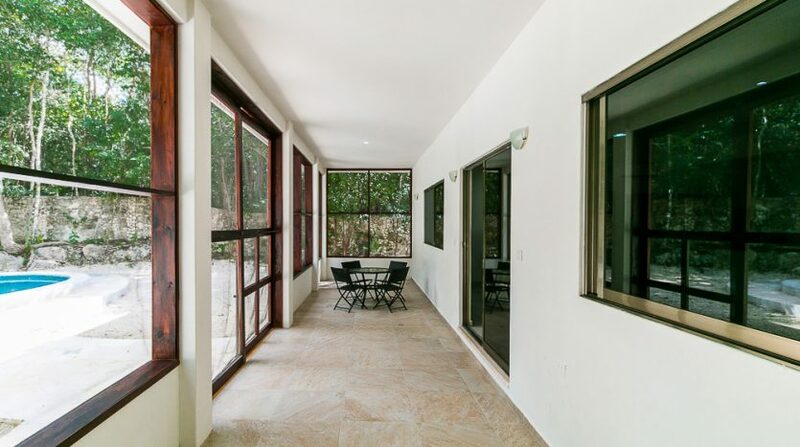 The living and dining room connect to the screened in patio which is large enough to easily accommodate an additional outdoor living and dining area as well. 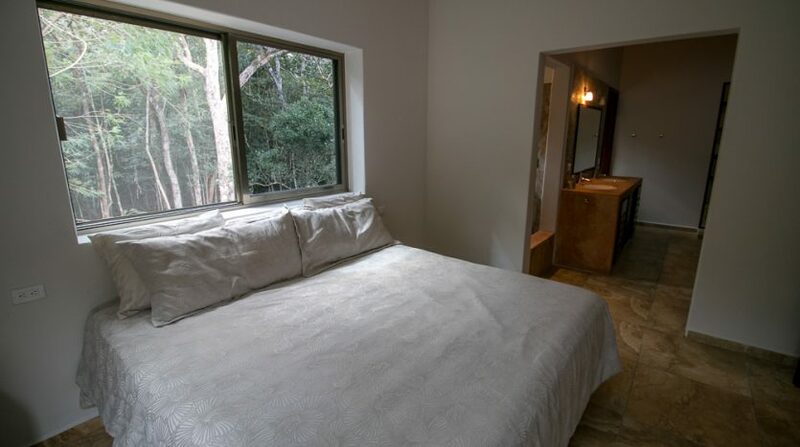 Upstairs, the 2 guests bedrooms share a full bathroom and the Master bedroom has a large ensuite with a double vanity, a spacious shower and a large built-in closet. 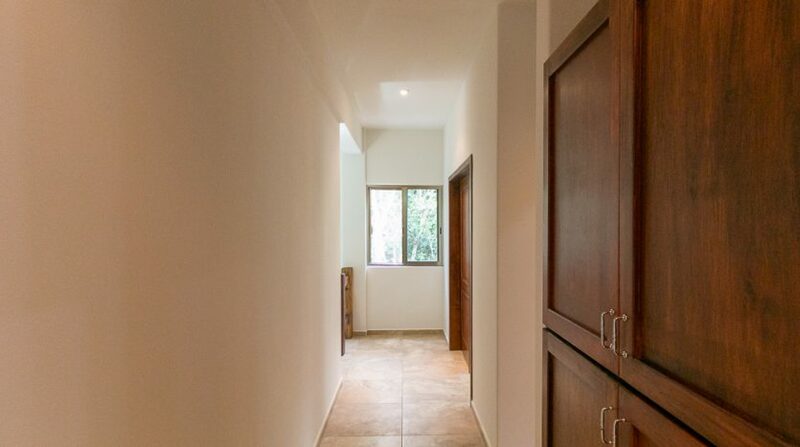 There are lovely hard-wood built in closets and shelves throughout the upstairs ensuring plenty of room accommodate all of you or your guests’ needs. 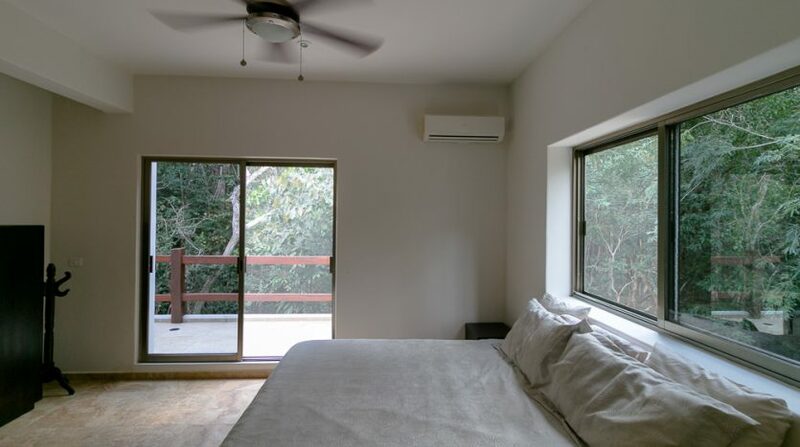 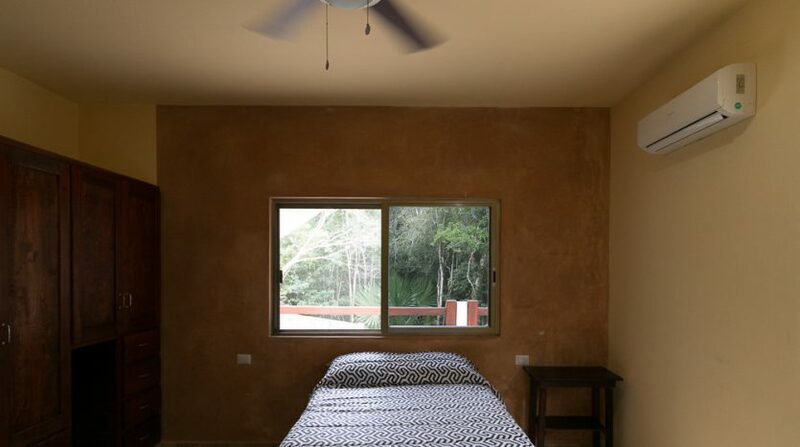 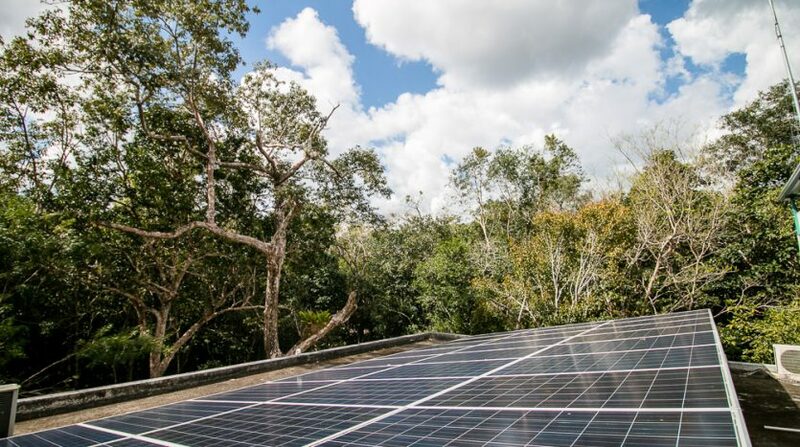 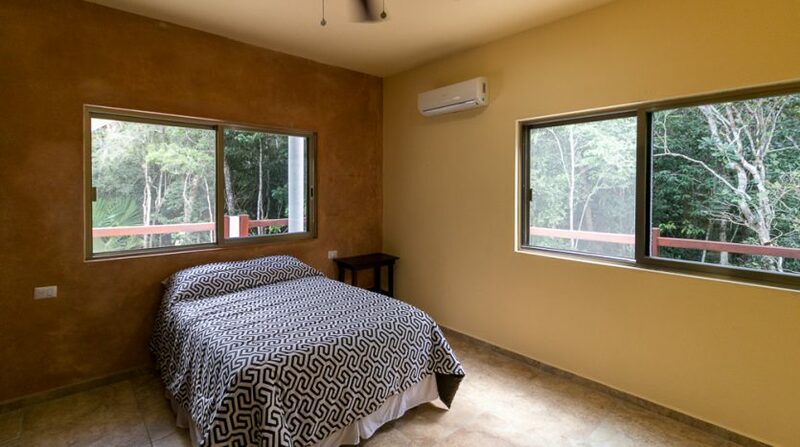 The Master bedroom also has a door to the large wrap-around patio with views out to the jungle and over the pool, as well as stairs to the roof-top where the solar-panels reside. 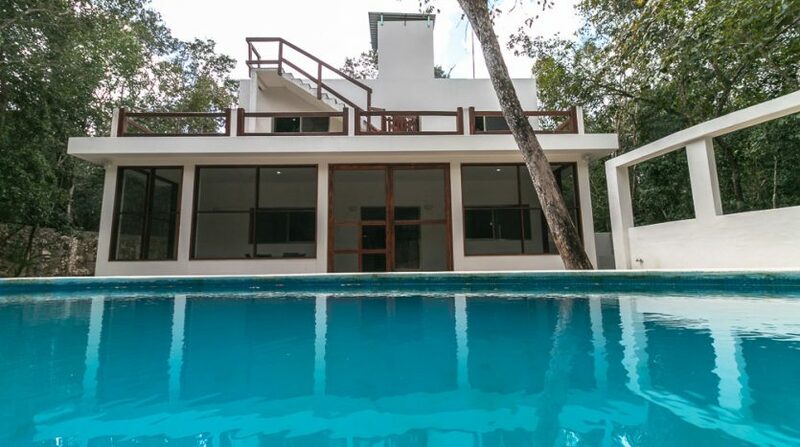 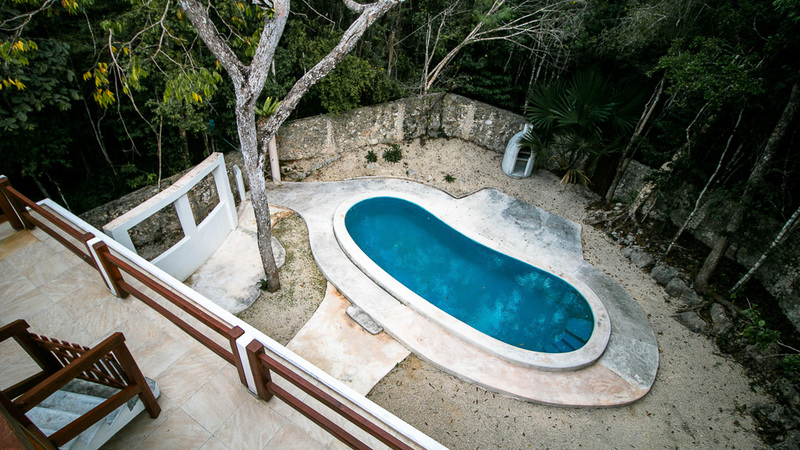 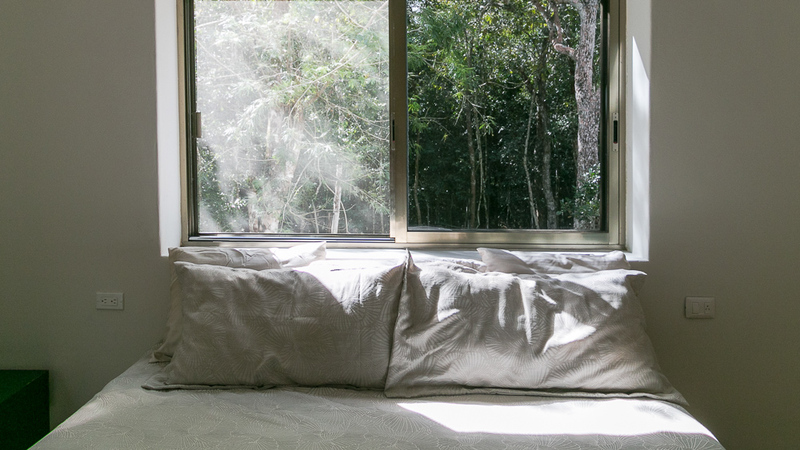 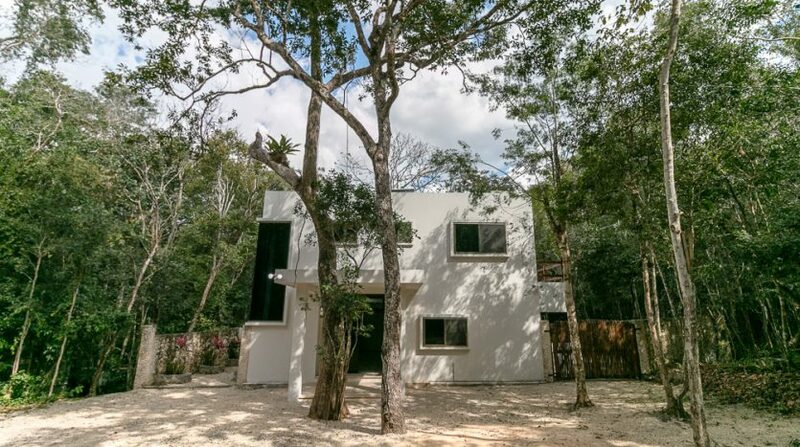 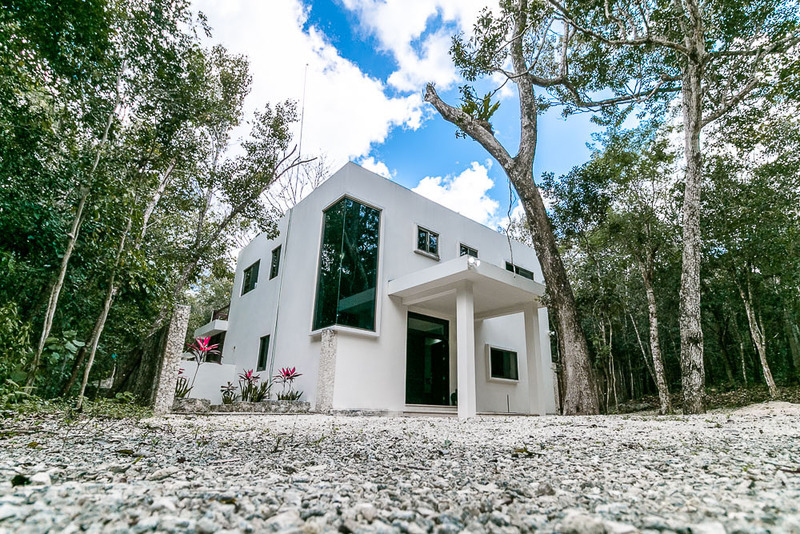 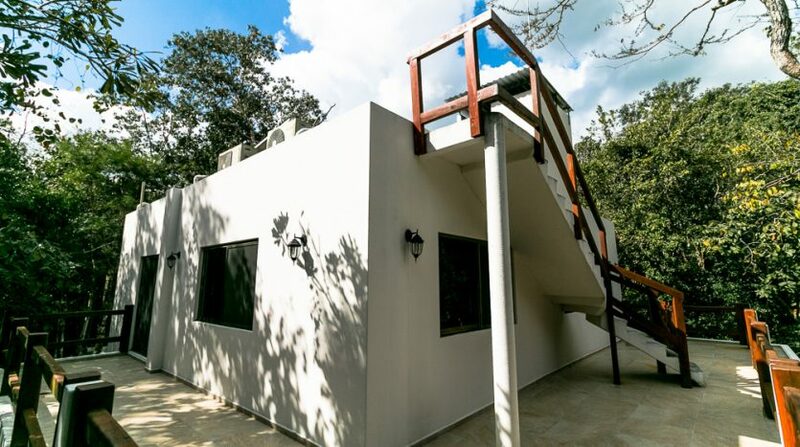 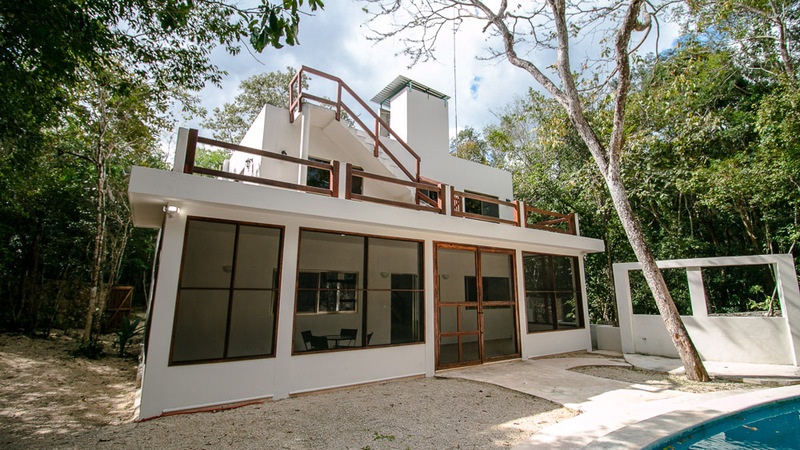 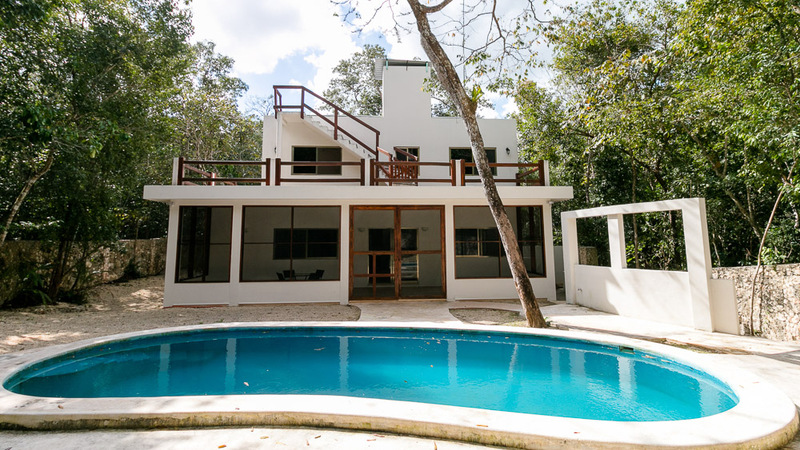 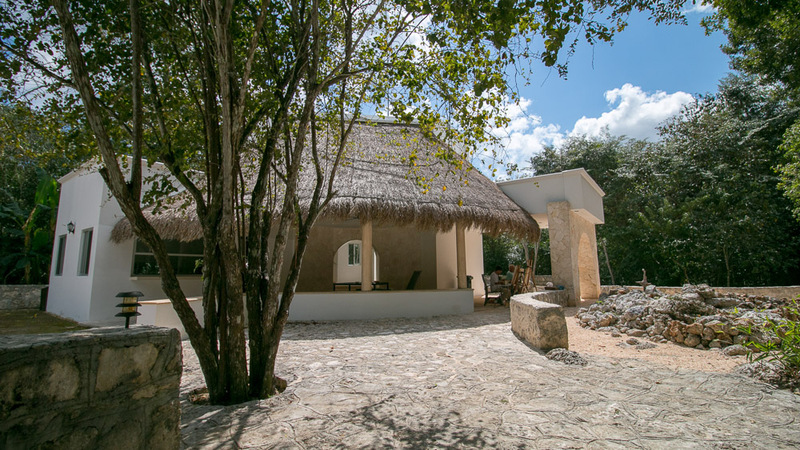 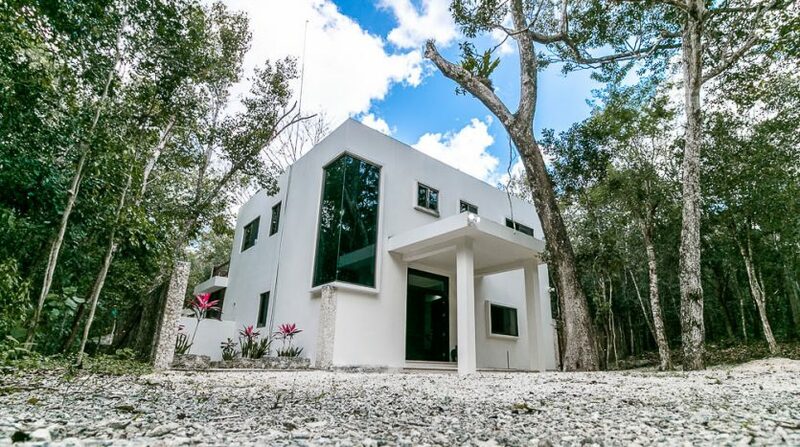 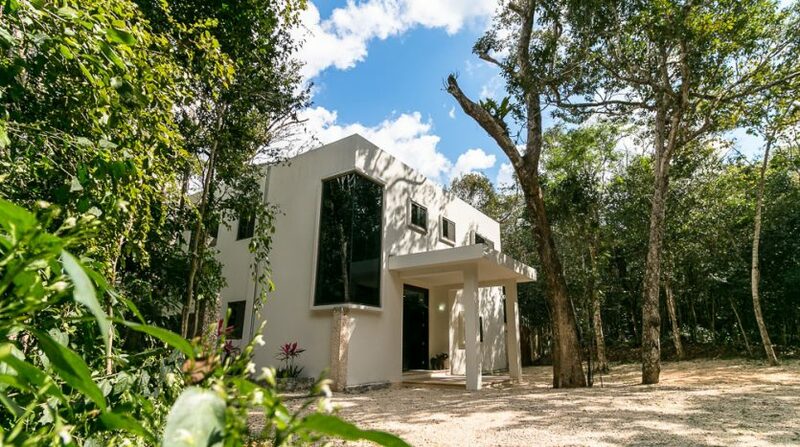 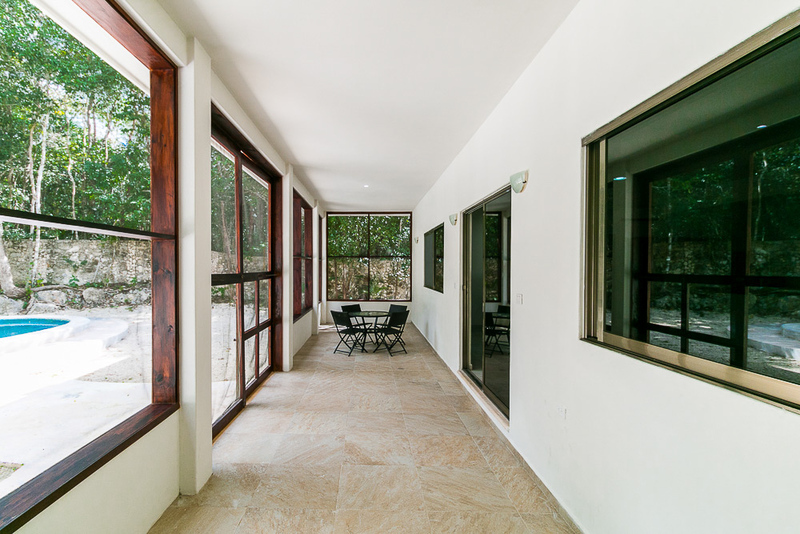 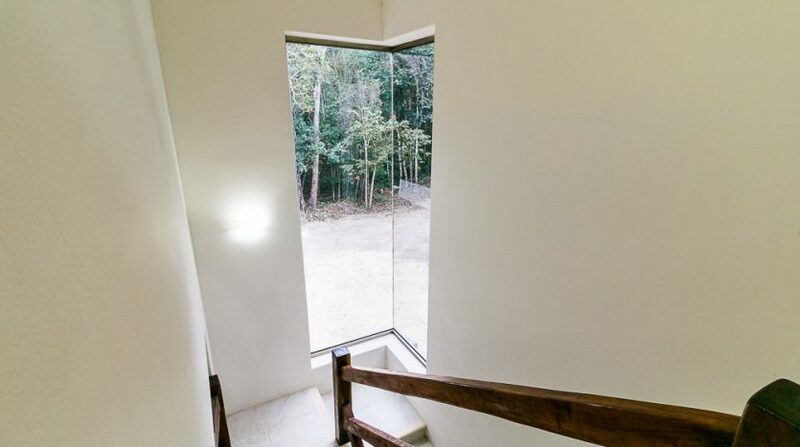 For extreme privacy and amazing jungle views, all while maintaining all of the creature comforts, this 3 bedroom home in Tulum is not to be missed.